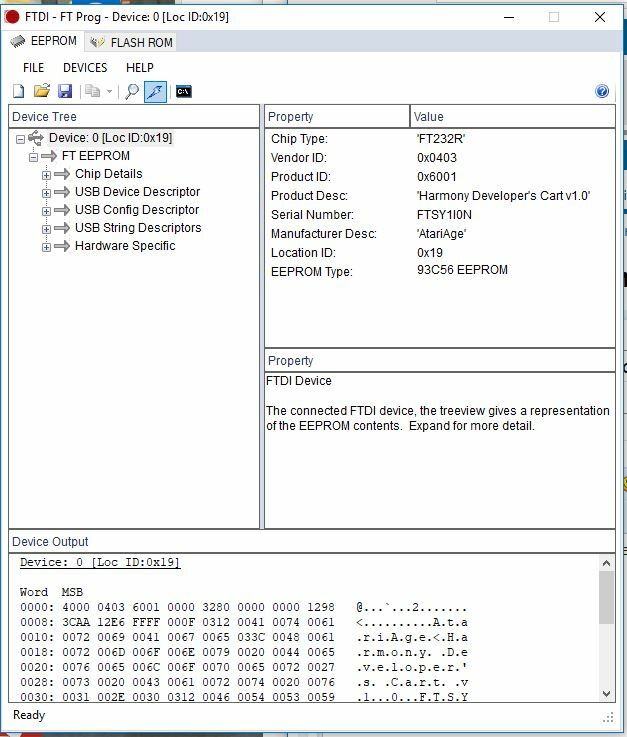 Can the Harmony be programmed with the FT_Prog by FTDI? I am not able to use the Harmony 1.3 program even though my computer does see the Harmony in device manager as well as FT_Prog. I have tried multiple computers. I don't want to hose my Harmony as it works other than not being able to upgrade it. It is currently at 1.03 and I would like to get it to the latest version. Is this possible or has someone already done it that can share the procedure?